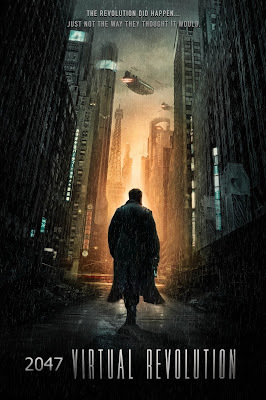 The highly acclaimed sci-fi noir thriller "2047: Virtual Revolution," starring sci-fi icon Jane Badler ("V") and Mike Dupod ("Arrow"), premieres on VOD June 12 from Lidderdalei Productions. Most of the world's population live inside corporate-controlled virtual worlds and drift further out of touch with reality. Nash, a private investigator/ mercenary is hired to track down a group of hackers who are disrupting and terrorizing the virtual space in a bid to free human beings from their online prisons.